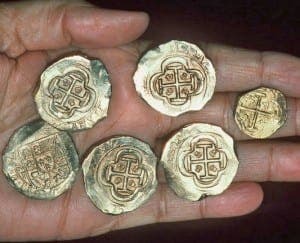 A SUNKEN Spanish galleon discovered off the coast of Colombia may hold the world’s most valuable treasure. The 300-year-old San Jose is believed to contain 11 million gold coins and jewels worth billions. 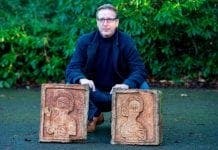 The Colombian government announced that underwater vehicles had located the vessel, which went down with 600 crew after trying to outrun a fleet of British warships in 1708. 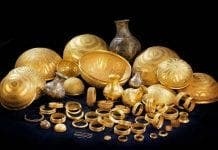 Spain, the USA and Colombia are locked in a legal battle to determine who owns the rights to the treasure. 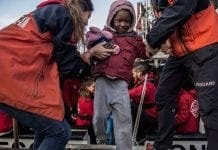 Colombian president Juan Manuel Santos admitted it could take years to salvage the ship, which is 700 feet below the surface of the sea. Britain also has a strong claim to this treasure. If the pursuing (British) ships had caught up with the San Jose and inevitably captured it, then it would have been a prize of war. If it hadn’t been for our doughty seamen, the treasure wouldn’t be lying where it is. Stick a claim in Cameron! None of this enormous wealth will go to the indigenous people from whom it was stolen. Of course not Stuart, they’re all dead from white men’s swords and diseases. Odds on the Yanks get it. few outside of historical research understand just how important to the mass murderer Cortez was the young cabin boy from Morrocco who was recovering from smallpox. His contact with the indigenous people was conservatively estimated to have cost the lives of over 20 million throughout Central America and an estimated 15 million in North America. Whole tribes were wiped out, which made these people terrified of the ‘power’ of the Catholic Spanish. Little known and never taught in American schools was the deliberate plan to exterminate all the tribes in what are now the northern States of the USA. Those good Christian settlers used blankets with the smallpox virus as gifts to the indigenous peoples. it was very successful and half were wiped out in one summer.